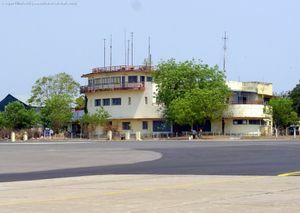 Begumpet airport is located right in the heart of the twin cities of Hyderabad and Secunderabad in Andhra Pradesh. 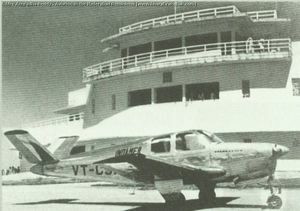 Its history dates back to the early 30s when the Hyderabad Aero Club was formed and it became the airfield for Nizam of Hyderabad's aircraft. 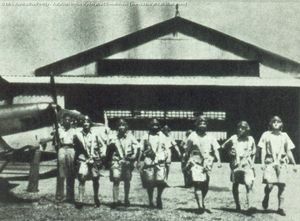 The airport was further developed with the provision of a proper airport terminal building in 1937. 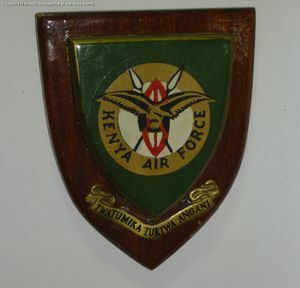 During the Second World War, the flying club was taken over by the RAF for its training purposes and No.1 Elementary Flying Training School was soon established. No.1 EFTS operated a number of DH82 Tigermoths impressed from civilian service and was functional for almost the entire duration of the war. 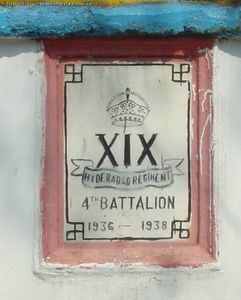 In 1945 No.1 EFTS was wound up and Begumpet reverted back to complete civilian control again. 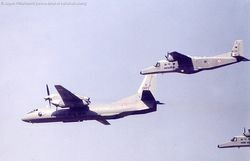 In Oct 1951, No.1 Air Force Academy moved to Begumpet from Ambala and flying training commenced under the Indian Air Force Management once again. 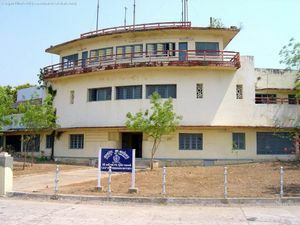 In 1956, the AFA, now redesignated as Air Force College moved out of Begumpet, and the station was named "Air Force Station, Hyderabad". 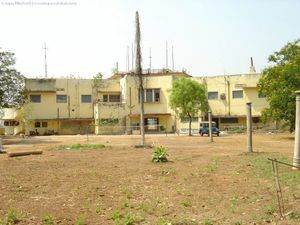 In 1963, No.1 Transport Training Wing was moved to AFS Hyderabad and remained there till its amalgamation into the TTW Bangalore in 1968. 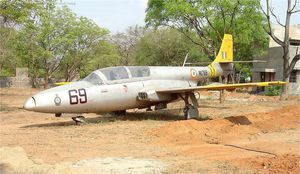 Air Force Station Begumpet as we know it today, came into establishment in 1968, and remains so till this date. 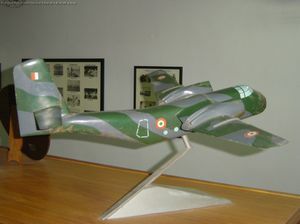 AFS Begumpet retains much of a Historic feel when one takes a tour of the faciilties. One gets a feeling that the station has not changed much from the 30s when the British used to garrision their troops here. 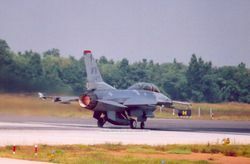 More than half of the buildings are of vintage build and are maintained well by the IAF personnel there. 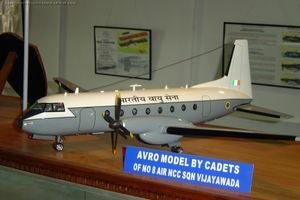 In December 2004, Begumpet AFS started its own 'in-house' Museum. 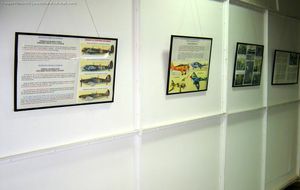 Housed in one of the rooms in the aircrew and administration building besides the old terminal, the Museum was inagurated by former CAS, Air Chief Marshal Idris Latif. 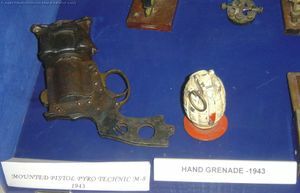 The Museum has on display various photographs, mementos and small artifacts salvaged from the station. 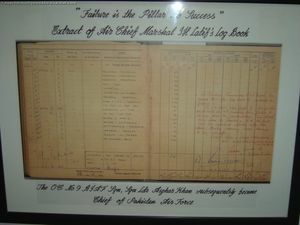 Pride of place goes to information gathered from the book "Aviation in the Hyderabad Dominions" by Mrs P Anuradha Reddy. 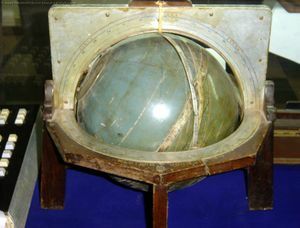 One whole wall of the museum has information and photographs from this book. 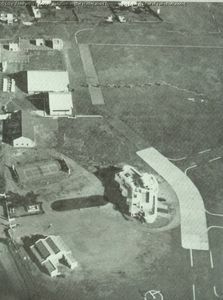 The Hangars still stand today as seen in this photograph - and are used by the Navigation and Signals School which is lodged with the AFS Begumpet. The other side of the Old Airport Terminal building. 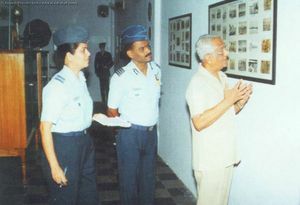 The Museum was inagurated in August 2004 by former CAS Air Chief Marshal Idris Latif, who is seen here going through the various items on display. 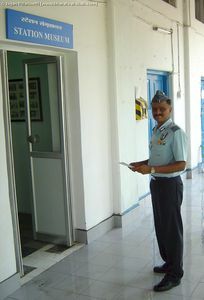 The then Station Commander Begumpet, Group Captain Anil Nair outside the Museum entrance. 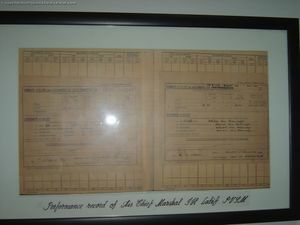 The Museum has numerous data boards taken from the book "Aviation in the Hyderabad Dominions" by Mrs. P Anuradha Reddy. 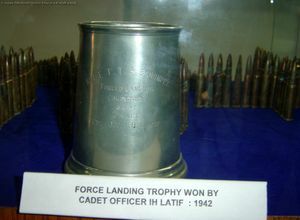 This silver mug was the 'Force Landing Trophy' awarded to Air Chief Marshal IH Latif, during his time as a cadet at No.1 EFTS Begumpet in 1942. 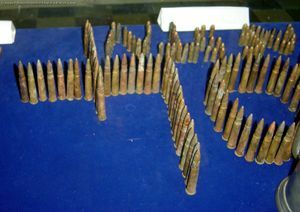 The .303 ammunition cartridges seen here were recently escavated out of the silt at the bottom of a disused well in the station premises. 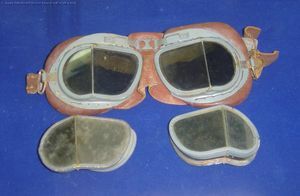 Vintage Flight Goggles from the Tigermoth era. 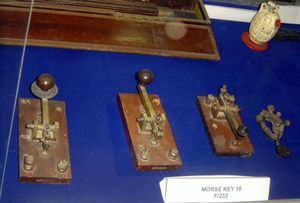 Various Morse Keys used in Communication in the 40s. 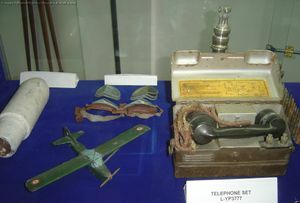 From Morse Keys to Vintage Telephone sets, all kinds of signalling equipment can be found here! Air Chief Marshal Latif donated his uniform for display in the Museum. 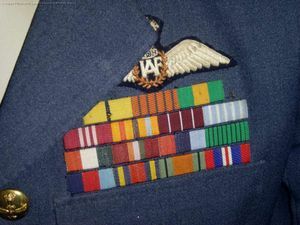 shown here are a close up of his medal ribbons and wings. 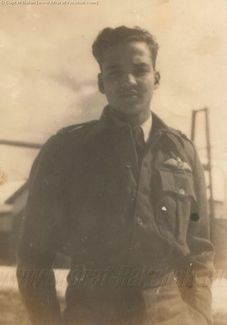 Air Chief Marshal Latif is one of the few WW2 Veterans with the Burma Star - UK Defence Medal Combinations. 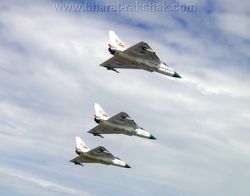 Two performance assesments by the COs of No.3 and No.10 Squadron testify that Fg Offr Latif was "Above the average". 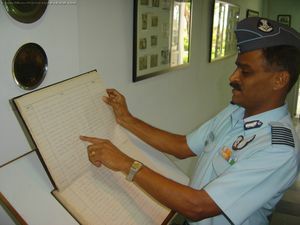 Gp Capt Nair, Station Commander, Begumpet, reads out an entry from the older Station Diary on display in the Museum.